Establishing a person’s intention to die has been a central element separating suicides from fatal self-injurious acts that are labeled “accidents” or “unintentional” deaths. We argue that this is a false dichotomy—certainly at the level of populations—that masks the overall magnitude of fatalities arising from deliberate, self-destructive behaviors. 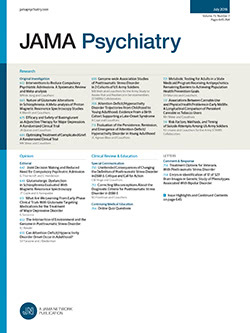 In so doing, it mutes the urgency for demanding effective preventive interventions and is particularly problematic as the nation experiences a persisting and growing epidemic of opioid and other drug-poisoning deaths.1 Firearm trauma and hanging/asphyxiation, the 2 leading methods of suicide, typically generate ample forensic evidence for assuring accurate determinations by medical examiners and coroners. However, corroborative evidence is less available for poisoning, the third leading method of suicide overall, and first among women. Parenthetically, we acknowledge that the Centers for Disease Control and Prevention use “unintentional injury" in lieu of the term accident for surveillance and prevention purposes. However, medical examiners and coroners remain bound by statutes in using “accident” as 1 of 6 manner-of-death entries (homicide, suicide, accident, undetermined, natural causes, and unknown) that alternatively appear on death certificates.